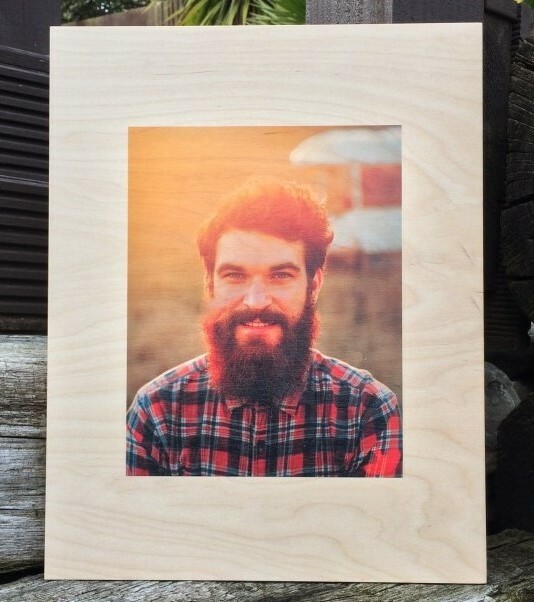 Our custom wood photo pallets bring a natural, rustic feel to any home or office decor. Photos printed on wood make a fantastic personalised gift whether it's a birthday gift for her, anniversary gift for him. valentines day gift or a wedding gift for the happy couple. Having your photos printed on wood blend your image with the natural warm tones and wood grain giving you a stylish and unique piece of wood wall art. Our 16" x 12" landscape (406 x 305mm) wood pallet prints comes with 4 horizontal wood planks. Pallet photo prints on wood are full of character and every photo printed on wood is individually unique. 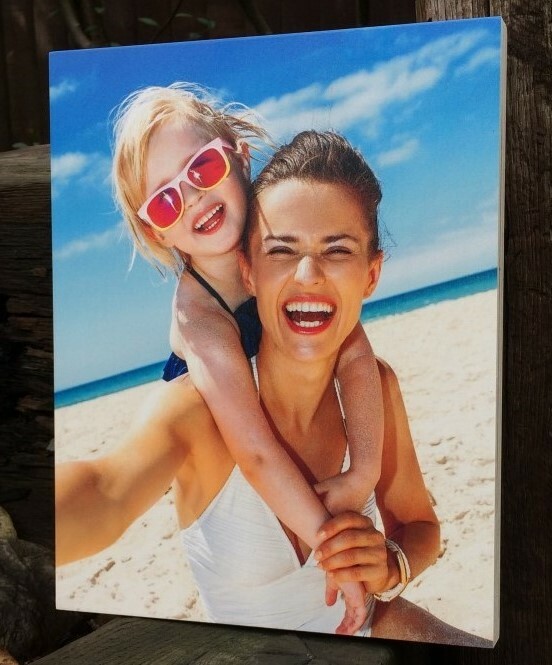 In fact, no two wood prints are exactly the same.Your image is digitally printed directly onto individual pieces of birch plywood where our our environmentally friendly print process allows the natural grain of the wood to shine through allowing the warmth, natural colour tones and wood grain to become part of your image. Carefully selected from sustainable farmed wood stocks our 16" x 12" sized wood photo pallets are perfect to be proudly displayed on a wall for everybody to see and admire. If you are looking for the perfect photo gift for somebody special or to simply treat yourself our photo pallets will turn your photographs & images into stylish individual works of wood wall art. Every wood pallet is carefully assembled with each 12mm thick back supports being glued to the front planks and left to cure. Every printed wood pallet comes with a carved keyhole hanging point and carved channels with a length of rustic Jute twine so you have a choice of display options. The finished pallet is then printed using our low energy print process which gently fuses the ink directly into the grain of the wood. Every wood print from Love Wood Prints is hand finished leaving a smooth natural finish, vibrant colours and subtle tones that allow the natural beauty of the wood to shine through.